Active 2-Channel DI boxActive 2-Channel DI-Box / Splitter, with whose help signals with high impedance - e.g. 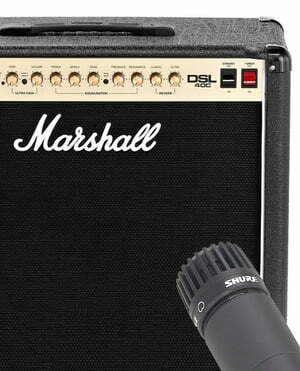 from guitars and basses - can be connected directly to a mixer or recording system. 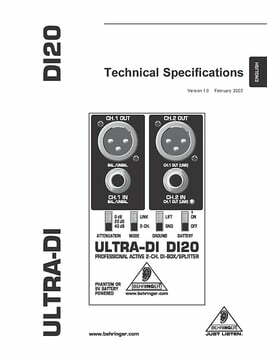 The ULTRA-DI DI20 is a one-of-a-kind DI (Direct Injection) box that can convert up to two separate, unbalanced ¼ " TRS lines into two balanced XLR outputs. It also offers a 2-channel / link mode for flexible use as a mono-, 2-channel box or splitter. In link mode, channel 1 can be output simultaneously via the two balanced XLR outputs as well as via an unbalanced jack (6.3 mm). The 3-position input attenuator can accommodate input levels of up to +48 dBu and a "Ground Lift" switch eliminates ground loops. The power supply can either be done with a battery (9 V) or with phantom power (48 V). Of these, 262 customers have written no texts or given their feedback in another language. 244 customers have given this product a 4-star rating. Of these, 226 customers have written no texts or given their feedback in another language. 83 customers have given this product a 3-star rating. 27 customers have given this product a 2-star rating. Lots of features in a small box. This DI box is great. It has all the buttons and connectors on the front which are clearly labelled. The DI box its self has very little sound colouration and would be great for most scenarios. The XLR connections are strong, but the jack connection come across as a compromise. The battery compartment has a screw to change the battery. This means it is kept secure. But is also a pain to change if the battery dies. This isn't the end of the world, but means you always have to has a screwdriver handy if you need to change it. This DI box also doesn't like long XLR runs to it with phantom power. If you run this from phantom power, you need to have under 20 meters otherwise it won't be reliable. The power loss in the cable will mean it won't have enough power for the big transients in an audio signal. 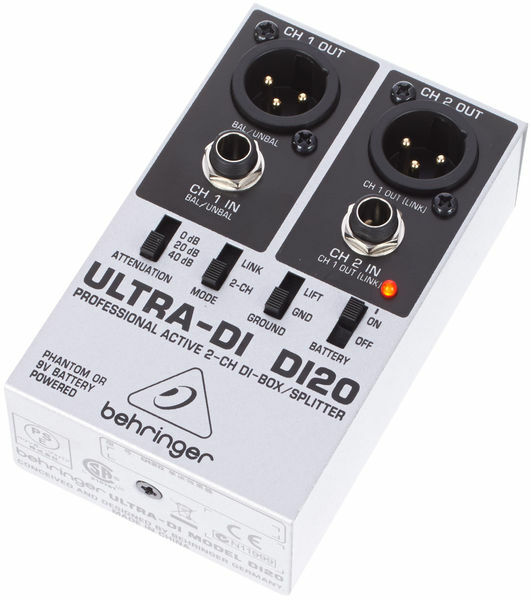 This little box from Behringer is a very handy addition to the home studio, mobile record rig or stage setup. I have 2 of these and use them for live gig recordings with my mobile rig where I often don't know what I'm going to encounter until I arrive. 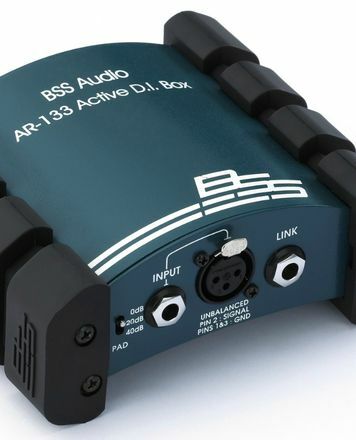 These little boxes are very versatile and allow me to connect a wide range of instruments to my recording interface via balanced connections for best low noise performance with long cable runs. For example, I've used them as classic DI boxes, to insert between instrument and amplifier and to simultaneously take a balanced line level output out to the interface, I've used a single unit to feed an unbalanced stereo output from a keyboard into twin balanced XLR inputs. I've used them to interface with a drum machine via the headphone output (the drum machines' main outs were broken). 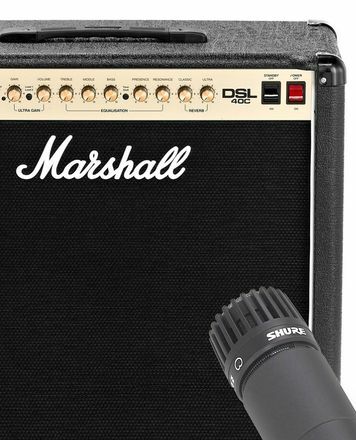 They are powered via phantom power from the XLR connection or via 9V battery. You can connect instrument amplifier speaker outputs to them and use the inbuilt attenuator to match the signal. 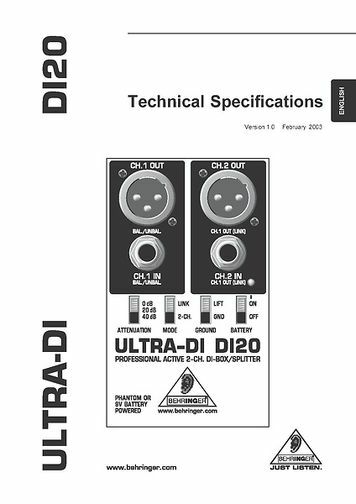 Other features include a ground lift, and the ability to use as either a twin channel single in single out DI box, or a single channel box with single in, multiple out. Compact and lightweight, they seem rugged enough in day to day use, no issues with noise or build quality, and of course, excellent value. To sum up, don't be put off by cheap reputation these are very versatile little tools and very competitively priced.  ID: 160358 © 1996–2019 Thomann GmbH Thomann loves you, because you rock!